In their programme Osloob and Naïssam Jalal present an unusual combination: electrifying hip-hop – rap – with heady flights of melody from the flute. The beats and rhyming lyrics of Palestinian rapper, beatmaker and beatboxer Osloob blend perfectly with the improvisations of Franco-Syrian flautist Naïssam Jalal. The result is a dialogue between two musicians with a seemingly perfect understanding of each other: Osloob the rhyming wordsmith delivers his verses, while Naïssam Jalal, creatively accompanying the MC’s beats, “raps” with her flute. The result is an excitingly bold and precise intermixture of sounds. 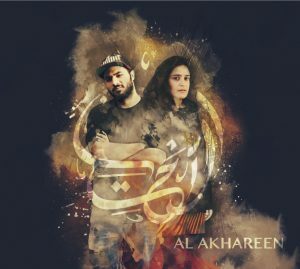 Their project title, « Al Akhareen », means « others » in Arabic. The lyrics and the music represent an interaction with the other; furthermore they appear not only as a duo, but also as a trio, accompanied by DJ Junkaz Lou, or even with a live band composed of Mehdi Chaib (sax, percussion), Viryane Say (bass), Sebastien Le Bon (drums) and DJ Junkaz Lou (turntables).